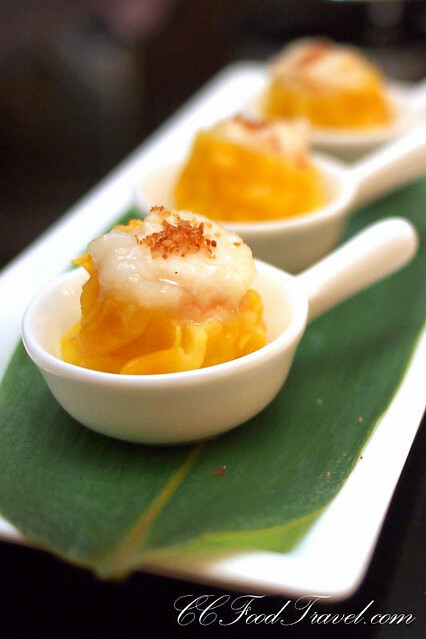 From delicate dim sum to fusion Chinese cuisine, the award winning Kim Ma Restaurant, under the prowess of renowned Chef Roy Wong has certainly stood the test of time. Such acutely stylish venues rarely last, but after being around so long, Kim Ma can certainly add longevity to its enviable list of attributes. And now, to keep up with the times, the popular Chinese restaurant has undergone some renovations. 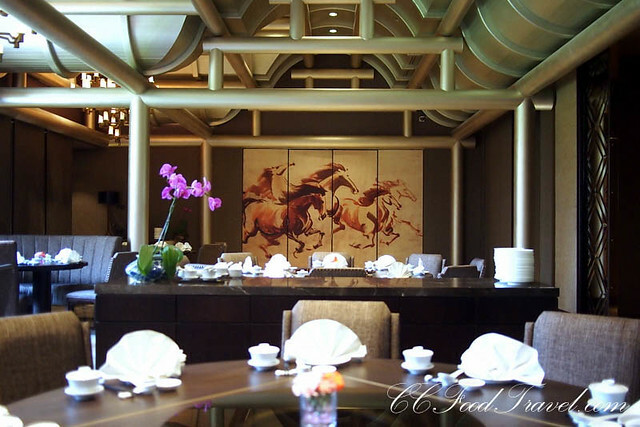 It is now draped in a blanket of opulent, contemporary Chinese deco – also the perfect setting for Chef Wong’s fusion cuisine. Some of the main changes would be that Kim Ma is now only available for private-dining and no longer open to walk-in customers on weekdays. Reservations must be made ahead of time, and depending on the complexity of the menu, must be made at least 2 days in advance. It is, however, open to the public for Dim Sum on weekends. 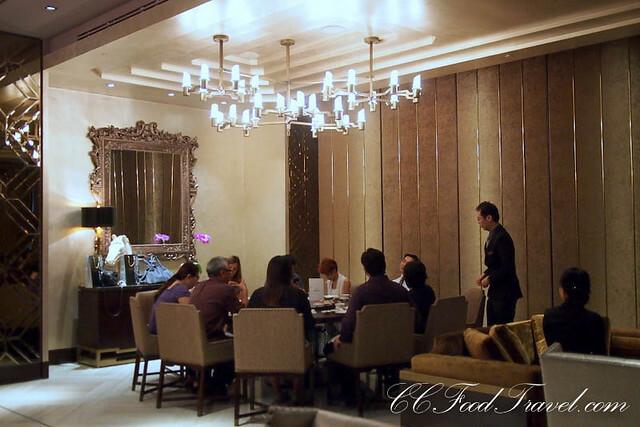 To complement the magical ambience of the new Kim Ma, magic is also incorporated into dining experience. 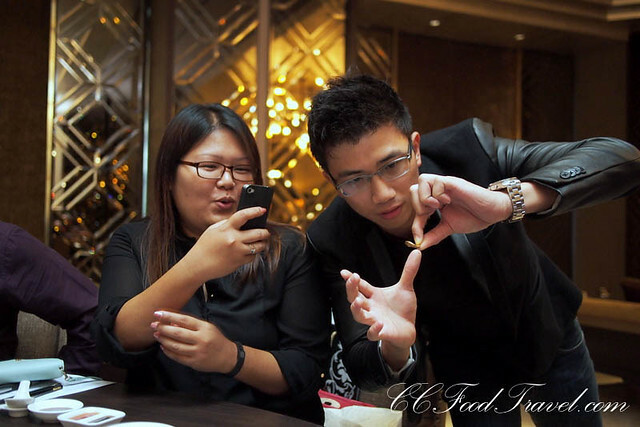 You might be a fan, or not – whatever it is, the slick and oh so polished Illusionist and Mentalist Zlwin Chew, will make a believer out of you, as he bends forks and coins, and makes things appear or disappear before your very eyes. It’s all part of the fun of dining at Kim Ma over the weekends. 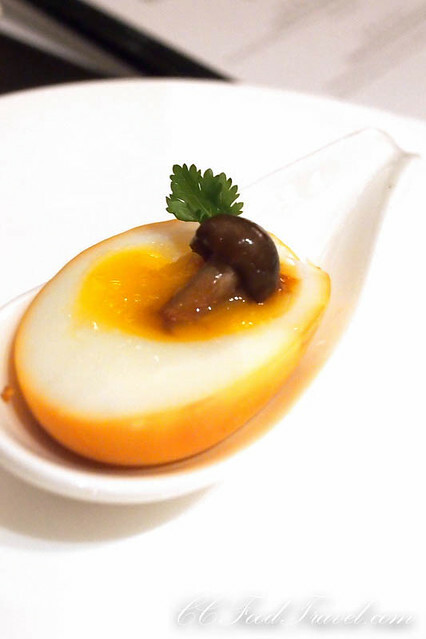 Earthy and rich.. and with a decadent runny yolk for good measure – loved the bite-sized ease with which to gobble up the canapes! All made fresh and minutes before it is served, the dimsum at Kim Ma are delicious morsels of succulent meat and broth. 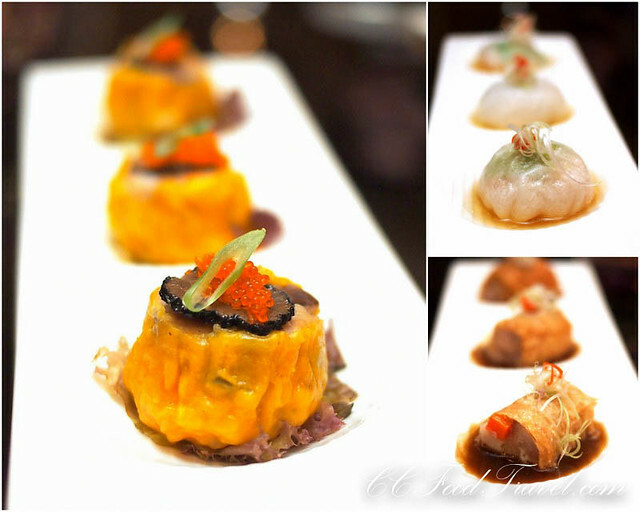 Loved the adding of black truffle to the siew mai – can’t go wrong with these aromatic mushrooms. This was an excellent dish, marred only by the fact that the sauce was too salty. Since all the ingredients were deliciously sublime, it didn’t really need a sauce. 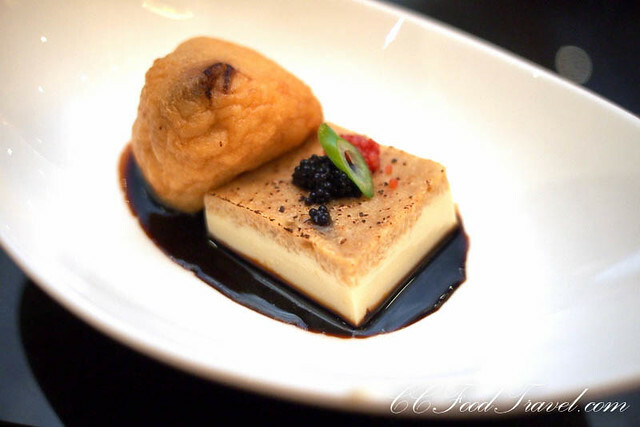 I liked the cold bean curd very much, which had a custard-like texture. 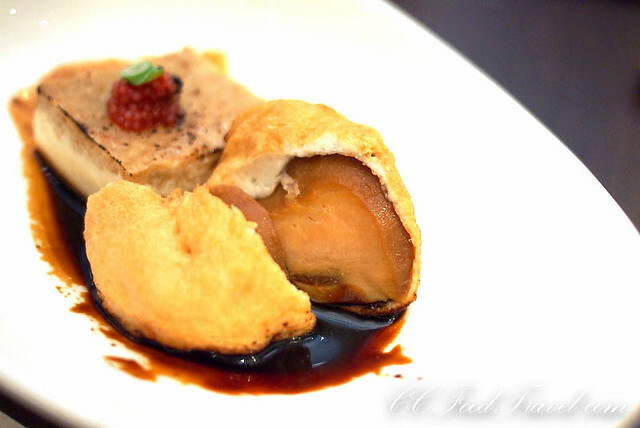 The Abalone concealed within the deep-fried fish paste was exquisitely succulent. Enjoyed each bouncy bite of the molluscs. 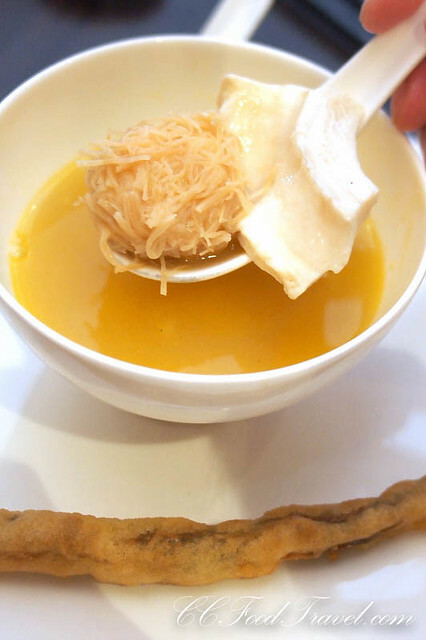 Then they served my favourite dish for that afternoon – the Fish Maw soup.. The thick creamy yellow broth you see, comes from slow boiling not one, but TWO village chickens for approximately 3 hours, till it is reduced to a thick consistency and intense sweetness that’s just phenomenal. The characteristic yellow color comes from the fat and skin of the village chooks. 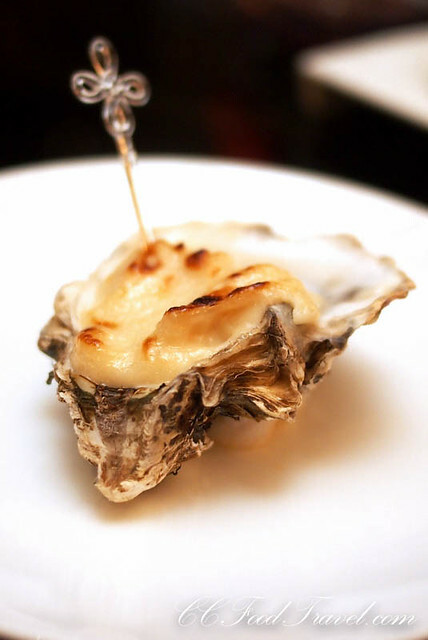 The fish maw is the best sort on earth, derived from deep sea, cold-water fish. Fish Maw should not be mistaken for the air bladder, which is usually fried, before it is cooked (yue piu). This one served to us in individual bowls, was actually the softer, more prized, fish stomach that the Chinese call the fa-kaw or fa-kao. Going up to as much as RM1800 per kg, this fish maw is indeed the rolls royce of maws! It is creamy, fatty and rich and has a smoothness that’s hard to fathom, unless you experience it first hand. Although it looks deceptively plain, the congee was flavourful and had a wonderful, velvety texture. The preparation of this basic dish is a test of a restaurant’s calibre and in this case, Kim Ma certainly delivers. 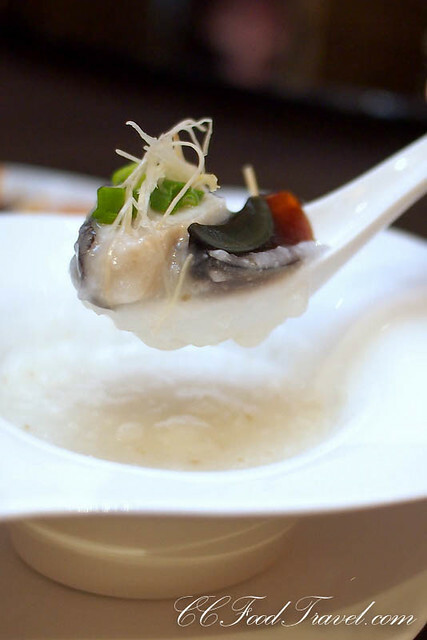 The Cod Fish gives the porridge a sweet and oily dimension while the century egg gives it a creamy consistency and a hint of pungent sulphur and ammonia after-taste. Lovely! When one hears the word Foie Gras, one normally associates it with the sensation of biting into a crispy, caramelized seared outer, and a soft and somewhat under cooked inner bit, that’s insanely unctuous, and dripping with liver juices and flavor. 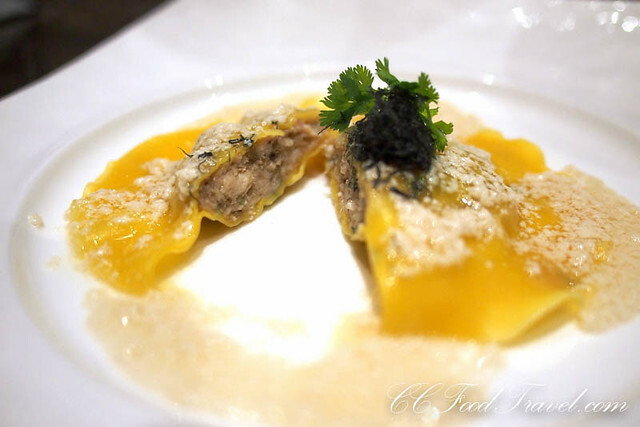 Well, biting into the Ravioli, we found the pasta a nice al dente texture, giving way to a rather gritty and somewhat dry chicken stuffing. 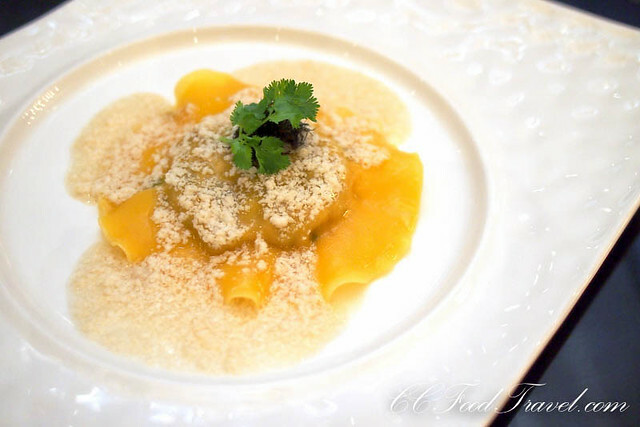 It was laced in foie gras flavor, minus the unctuousness and creamy texture of the foie. Using wagyu + foie gras, or just a foie gras center alone, minus the minced chicken would have been so much better, as this gritty texture of the chicken just didn’t complement nor highlight the foie gras in a positive manner. Not my favorite dish that day. This hot dessert was a delight to eat. 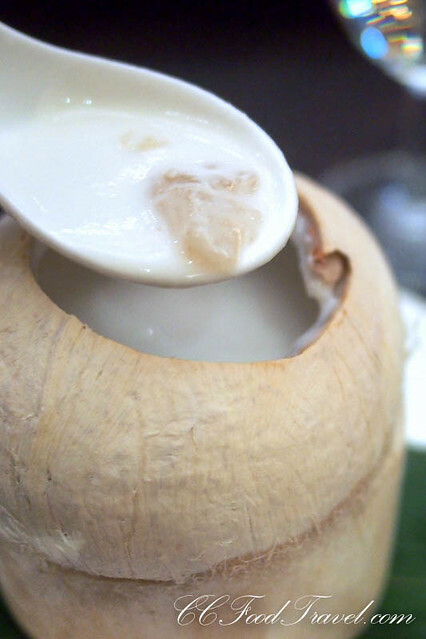 Slow boiled with 3 types of almond nuts, and reduced to a creamy thickness that looks like thick coconut santan, this dessert was fantastic. No essence of almond was added, so the flavour was solely from the fresh ground Almonds. We drank this till the last drop was gone. 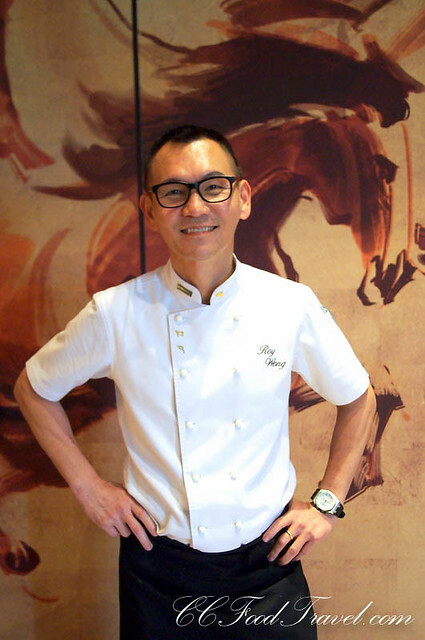 Chef Roy Wong has been with Kim Ma Chinese Restaurant, Palace of The Golden Horses since year 2000. Prior to that, he was in Frankfurt, Germany and served in many top hotels during his career in the kitchen. Chef Roy has also won Gold Medal in multiple competitions such as Appetizer category in International Culiniare in 2003, Hot Cooking category in International Gastronomique 1999 and Food Display category in World Golden Chef in 1998. The swanky, newly refurbished private rooms in Kim Ma.. dining in comfort and style! Wow! I love the modern twist on Chinese cuisine. I’m sure this would be a great place to have dinner at! first time for us too.. and we loved it:)! The soup was so good…so so good! Smoked egg sounds intriguing! Agree! My favourite dish of the lot! nice kan!…nice kan…, and sedap tu..if can dine everyday wuld b nice..